I have updated my website to include many new designs I completed during the last two years. I invite you to look at some of them in my Recent Work page. Many new items are also featured in the individual sub groups. You may enjoy looking at my entire website and find several new gems. I have also been embarking on a major new project. Project Louisa describes how I am converting a 180 year old maple tree trunk and root system into art and furniture. You can read about it in my new Newsletter. P.S. if you are not on my mailing list and are interested in getting updates of my work, I invite you to subscribe to it here. I send it out once a year and you can unsubscribe at any time. You can now also peruse older newsletters here on the website. You can also follow my work on my facebook page mapleartfurniture. 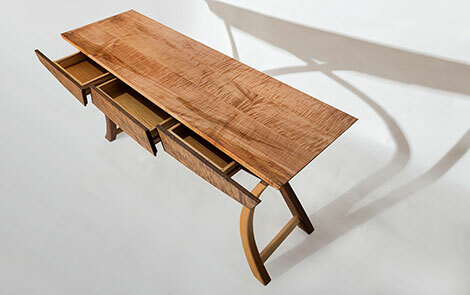 At MapleArt Custom Furniture and fine woodworking, elegance, great joinery, and spectacular woods are integrated in harmonious designs for residential, business and commercial clients in the Vancouver area and throughout the world. Are you looking for a particular piece of furniture for your home, or for a unique gift for a friend, family or business associate? With many stores selling the same product lines, it can be difficult to find the perfect fit for your space or style. If you can’t find what you’re looking for, my custom furniture and woodworking service offers a solution. I strive to create the highest quality fine furniture – melding superb functionality, art, and beauty for eye and touch – and to deliver pieces that can be cherished for a life time. 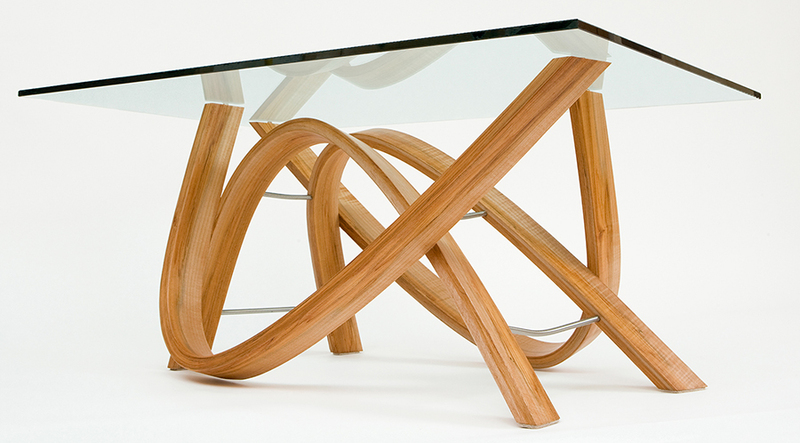 Your custom furniture will be designed with clean lines which make a strong statement yet convey lightness and beauty inspired by nature: inspiration that can be found walking through a forest or even sitting on a beach shrouded in fog. Since 2003, I have delivered over 200 different custom designs from my studio in Maple Ridge, just outside Vancouver, British Columbia, to customers in Canada, the USA, Europe and Japan. Nearly half of my business is repeat business and almost 80% is generated through customer recommendations, a great testimony to the quality you will receive with my work. Whether you want a unique piece of art, or a specific piece of furniture, I take great care to fulfill your requirements. There is little I cannot do with wood and I always enjoy a good challenge! I invite you to call me today at 604-467-2287 to discuss your project.